LOVE IS KINDNESS STAMPIN' UP! STAMP SET IS SO CUTE! Stampin' Up! has some of the most adorable single stamp sets, and this is one of my favorites! It is available in the Occasions Catalog and I think it's perfect to use your Blendabilities with. This would make a great Easter card too. 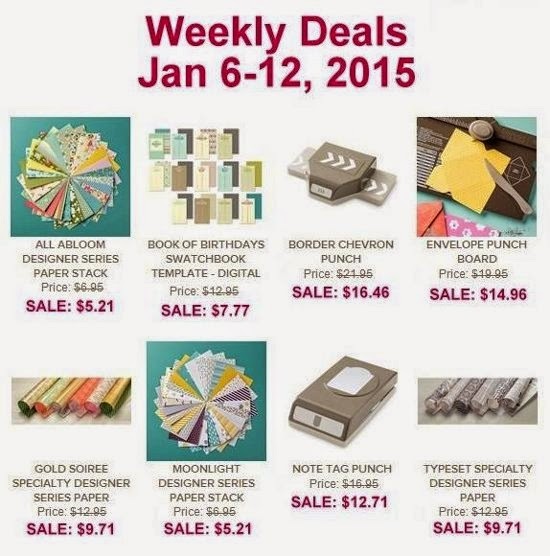 To get these wonderful Weekly Deal savings, you must place your order before midnight tonight! This is one of the cards fellow demonstrator, Caroline Morgan, made for our swap. 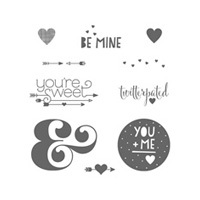 This is the perfect stamp set for so many occasions, and it comes with lots of different sentiments/words! Thanks for sharing your creativity, Caroline! I made this card with the You Plus Me Stamp Set in the Stampin' Up! Occasions Catalog. It is made with the traditional Real Red and Whisper White Valentines Day color combination. I used the Hearts Collection Framelits for the Big Shot and the Decorative Dots Textured Impressions Embossing Folder for the Big Shot, the circle punch and then just added a Rhinestone Jewel for some "bling". 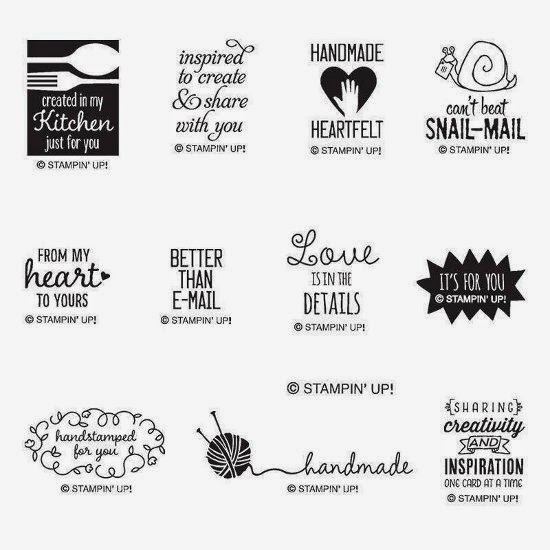 All of the great Stampin' Up! tools/accessories make this card super quick and easy to create. My number one must have item this week is the Skintone Blendabilities! All the twine is awesome and such a deal~~seriously, you can use twine on everything! Okay, I guess I really like all the items on sale this week. AND I really, really, really like saving money! It would appear I have been on a mini vacation for the past four days. While I did enjoy some time with my mom on Friday, I was home working the rest of the weekend. Finally got the Christmas decorations down and most of the boxes put away. Today and tomorrow I will get the rest of the boxes put away and the house back in order and cleaned! I missed posting and being creative. I did host a swap over the holidays, though, that I will share with you. I will also be back later today (hopefully) to post the Weekly Deals, and you don't want to miss those. Until then, though, I hope you enjoy my Moon Lake swap card! Moon Lake is one of the stamp sets being offered in the Occasions Catalog, and it was the first stamp set on my list. I held a swap during the holidays, and here is one of the four cards I made for the swap. I am hoping to go on a vacation to Florida this winter, and I thought it would be nice to have a post card I made to send to my hubby while I was away. I think this will be the ticket! I can write on the front and put the address and stamp on the back and away we go. I will stamp it and stick it in my computer bag, and I am all set. Of course you can make this a full card also, and it will be every bit as lovely. I used my blender pens and ink pads to do the "water color"; which means I stamped my image with StazOn Ink. 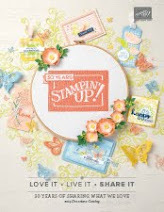 Of course I really love FREE stamp sets, but this is one of my favorites from the Sale-a-Bration Catalog. 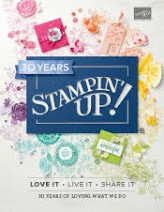 Place your qualifying order for Stampin' Up! product, and get this stamp set FREE. It is order number 131909 for wood; 139112 for clear. This is also one of my favorite color combinations. I was playing around with different variations for bag sizes made with the Mini Treat Bag Thinlits Dies, and came up with this really cute and easy idea. I shared it with my Demo Diva group tonight, and it was a big hit! I used this piece from the Thinlits to make this little bag that fits my Hershey Bar with Almonds perfectly! I cut two pieces of DSP 3" x 5 1/2" and cut them both with this Thinlit piece and then just added some Multipurpose Liquid Glue (Tombow Green Glue) to the edge that is scored and across the bottom; then glue the two sides together. This is so easy and quick!! I did fold the bottom up about 1/2". This would be very cute to use for party favors for a baby shower or wedding or birthday with hearts or balloons or umbrellas; how about a masculine birthday with the mustache framelit on the front? I think it would work at the holidays with candy canes inside and a big Santa face on the front The possibilities with this little bag are endless! ORDER YOUR MINI TREAT BAG THINLITS DIES HERE! This is such a great stamp set! Look how cute these envelopes and the back of these cards are! 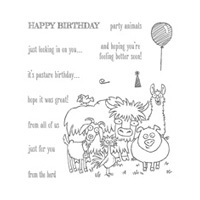 This is the latest photopolymer stamp set to be introduced by Stampin' Up!. It is a definitely must have for me. If you need it too, PLACE YOUR ORDER HERE! On Saturday, January 31st from 1:00 p.m.- 3:00 p.m. we will alter the Documented Journal (on page 190 of the Annual Catalog) and make this Perpetual Calendar. We will add perpetual monthly calendar pages, monthly tabs and pockets to keep cards in. You can also add a pocket to the front of the book to hold your postage stamps. Now you can have all of your monthly card needs in one spot! Each month you can sit down, make your cards for the month, stamp and address your envelope and be all set. Never miss another birthday! Cost of this class is $20. The cost will include your journal, all of the pieces necessary to alter your journal, coffee, water and a light snack! You must RSVP and pay for your class by midnight January 13th! 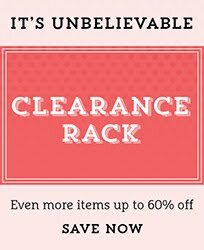 There are so many good things on sale this week, that I am having a hard time picking a favorite. Remember all Weekly Deals are "while supplies last", so be sure to order early! This is a very masculine card I made using the FREE Big Day Stamp Set available for FREE (with a minimum $50 purchase) in the Sale-A-Bration Catalog. I also some Chalkboard Paper and the new ColorBox Chalk Ink Pads, which are available in the Occasions Catalog. I am having so much fun trying all the new products in there new catalogs! PERPETUAL CALENDER CLASS IS THE END OF THIS MONTH! FYI~~On Thursday, February 19th there will be a Happenings Card Kit Class, where you can come and make 15 cards using the Happenings Simply Created Card Kit. This is a great way to fill up your Perpetual Calendar! Register for both classes at the same time and save $5! RSVP by January 13th for both classes, and pay only $35! I love the vintage look of this card with the doily and the pearl buttons. I stamped the image from Love Is Kindness with Black StazOn and then colored it with my markers (super easy). This single stamp is available in the Occasions Catalog, which you can now order from! ORDER YOUR LOVE IS KINDNESS STAMP SET HERE! This is a card I made using the FREE SAB Big Day Stamp Set! I have been sharing lots and lots of samples and creativity with you, and I hope you have been inspired and are ready to put the holidays behind you and get back to stamping. This is 'LAST CALL' for Morning Madness in the Rubber Room on January 13th, 2015 from 10:00 a.m. to noon. The second Tuesday of each month Morning Madness happens in the Rubber Room. You get to make four wonderful cards, and all you have to do is show up and bring your adhesive. I design and prepare all the materials you need for make your cards, including envelopes. I also provide coffee, water and a light snack. Cost of Morning Madness is $15 and you must RSVP by midnight January 8th, 2015 in order to attend Morning Madness on January 13th at 10:00 a.m. There is a stamp set in the Occasions Catalog that coordinates with the Note Tag Punch that's on sale this week! I love all the Designer Series Papers on sale. They make great boxes and backgrounds! The SAB brochure is full of wonderful products you are sure to love. By far the easiest way to enjoy all the benefits of Sale-a-Bration is to earn some FREE products AND have some fun using them! We don't want to 'store' these exclusive items, we want to "sale-a-brate" them! I invite you to join the Rubber Room SAB club. Here is a basic outline for his club. You will meet the last Monday of each month during SAB. You will order a pre-determined bundle of products totalling $50-$55. This will qualify you to receive one FREE Sale-a-Bration item each month. That is a total of three FREE products. AND one time during the three-month club, in addition to your FREE SAB item, you will receive hostess benefits. You may choose to participate in the club in a way that will best serve your needs. How do you want to participate? 1) For $5 per month (in addition to your product purchase) you can join "Online"~~you will place your order online using a hostess code and your purchases will come directly to you. I will forward a step-by-step tutorial for that month's project(s) to you. 2) For $12 per month (in addition to your product purchase) you can join "On The Go"~~you will place your order online using a hostess code and your purchase will come directly to you. I will prepare all your materials for the project(s) and mail them to you, and I will forward a step-by-step tutorial for that month's project(s) to you. 3) For $8 per month (in addition to your product purchase) you can join "Live in the Rubber Room"~~I will place your order and keep it in the Rubber Room for you. I will prepare all the materials you need for that month's project(s) and you will come to the Rubber Room on the last Monday of every month and enjoy some social time while you prepare your project(s). You will use your purchased products to make your project(s) that night and then you get to take it all home with you. If you make a minimum purchase of $15 the night of club, your fee will be reimbursed to you. I will also provide water, coffee and a snack for club. If you participate in the club "On The Go", I will be mailing your supplies the day after club meets in the Rubber Room. If you want to participate "On Line", your tutorial will arrive in your email box the day after club meets in the Rubber Room. In February your order will be the Build a Bouquet Kit and Build a Bouquet Stamp Set; page 29 of the Occasions Catalog. Order total is $58.90 before tax and shipping. At club we will put your Bouquet together and make one card. You can pick any SAB item for FREE to add to your order, and you must get your order to me by midnight on February 4th, 2015. In March your order will be the Sophisticated Serifs Stamp Set and a package of Note Cards; page 44 of the Occasions Catalog and page 194 of the Annual Catalog. Your order total is $51.90 before tax and shipping. At club we will make 4 note cards and a box to store them in. 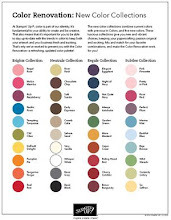 You can pick any SAB item for FREE to add to your order, and you must get your order to me by midnight March 11th, 2015. 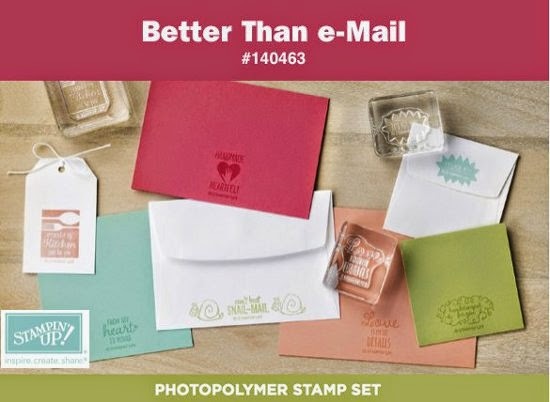 Use the links in this newsletter to view stamp sets in the Occasions Catalog and the Sale-a-Bration Brochure, or stop by the Rubber Room and pick up a catalog and/or brochure. Sign up to join this ONE-OF-A-KIND, NEVER-BEFORE-OFFERED CLUB TODAY!